severus snape. severus snape. Wallpaper and background images in the severus snape club tagged: severus snape harry potter severus potions master alan rickman proffesor deathly hallows 2 snape. 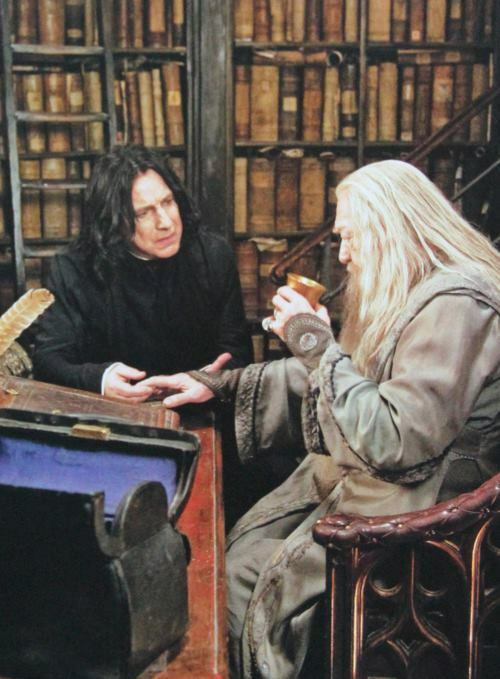 This severus snape photo contains salón, sala de estar, sala de dibujo, and sala de lectura. There might also be calle, escena de la ciudad, entorno urbano, configuración de la escena de calle, ciudad, urbano, sala de estar, salón, sala, living comedor, habitación frente, sala, sala de estar, and salón. Just when I accepted the fact that there won't be any new Snape photos, we get this! YAY!!!! More, more, please!Want hin to hold my hand like that,not Dumbly's! wow! where did that one come from? do you have the link in case any more new ones pop up there? Another great set pic - that's just wonderful ! Thanks for sharing ! Severus, hold MY hand please ! Is it me or do I notice some kind of a doctor's case, open on the table, on the foreground ? Severus looks like a good ol' country doctor... a case that may have contained his portable potions set maybe, to cure Dumbledore from the curse.